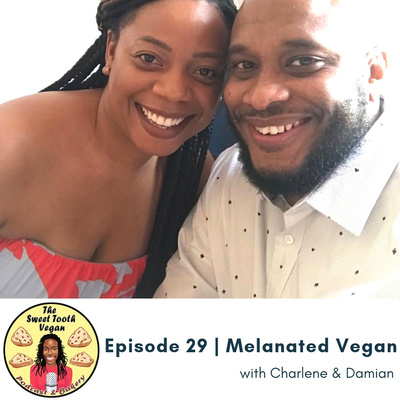 "It started with a text..." Meet Charlene and Damian of the apparel line Melanated Vegan in part four of the Mind Yo Business Series! Hear their vegan story, how their apparel line got started, tips for entrepreneurs, and more! 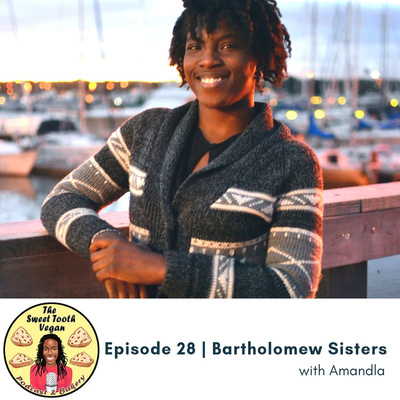 Meet Amandla, the founder and owner of Bartholomew Sisters - a 100% natural and vegan skincare line! Topics of discussion include: tips on building clientele, sourcing shea butter, popular Bartholomew Sister products, and more! In part two of the Mind Yo' Business series - Canadian Edition- Shaleena interviews Katarina of Dolled Up Desserts. Dolled Up Desserts is an inclusive baking company that specializes in gluten-free and vegan treats. Topics of discussion include: how Katarina started Dolled Up Desserts, gluten-free baking, tips on how to stand out in the vegan food business sphere, and much more! 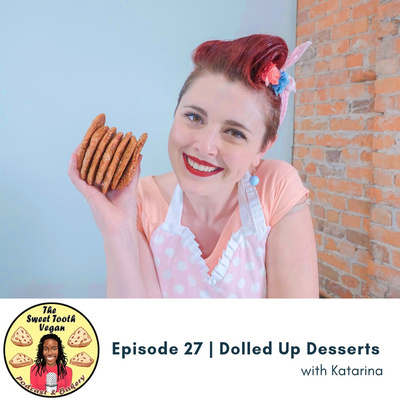 Follow Katarina on Instagram (@dolledupdessertsbaking), on YouTube (Dolled Up Desserts), and order some delicious desserts on her website (www.dolledupdesserts.com)! 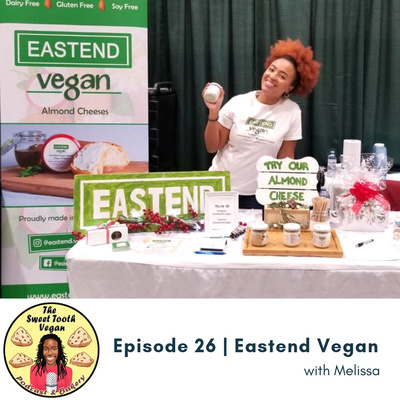 To kick off the return of the Mind Yo' Business series, Shaleena interviews Melissa of Eastend Vegan. Topics include: how Eastend Vegan got started, tips on vending, vegan cheeses, building your clientele, and more! In this podcast special Shaleena documents the experiences of business owners that were at the 1st annual Toronto Black Vegan Festival. In this segment Karen of Hummingbird Personal Chef Services shares her experience vending at this historical event. 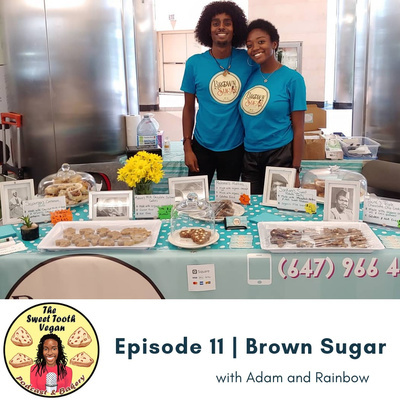 In this podcast special Shaleena documents the experiences of four business owners that were at the 1st annual Toronto Black Vegan Festival. 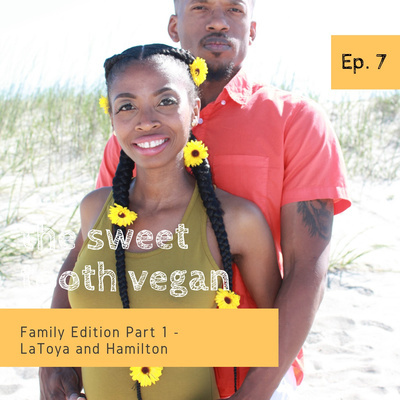 This round table discussion style interview features Melissa and Sheldon of Eastend Vegan, Odette of Bzz Free, and Charlene of Melanated Vegan! 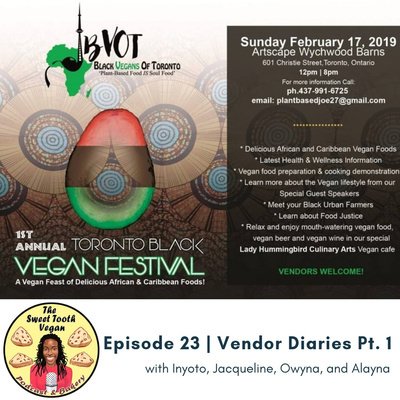 In this podcast special Shaleena documents the experiences of four business owners that were at the 1st annual Toronto Black Vegan Festival. 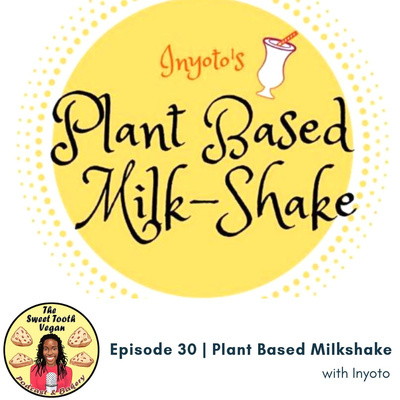 This round table discussion style interview features Inyoto of Plant Based Milkshake, Jacqueline of Nature's Butter, Owyna of CaribBubble, and Alayna of Real Naturelle! 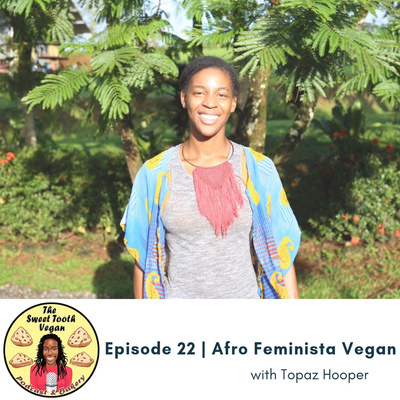 In the Black Vegan series finale Shaleena interviews Topaz Hooper, also known as Afro Feminista Vegan. Topics discussed include: scientific evidence why a plant-based vegan diet is beneficial for Black people, Canada's new nutrition guide, tips for transitioning to a vegan lifestyle, and more! 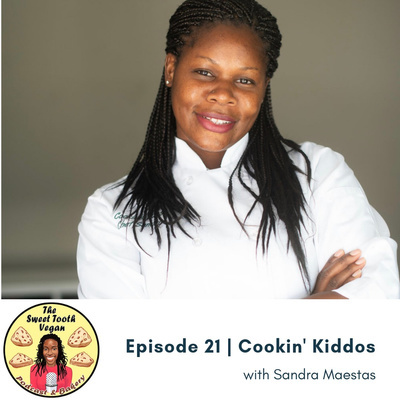 In part six of the Black Vegan series Shaleena interviews Sandra Maestas, the creator of Cookin' Kiddos. Cookin' Kiddos is a community-based cooking program for toddlers, teens, and adults! Topics of discussion include: the history of Cookin Kiddos, Sandra's vegan story, tips on transitioning children on a vegan/plant-based diet, tips for buying produce, food labelling, and more! 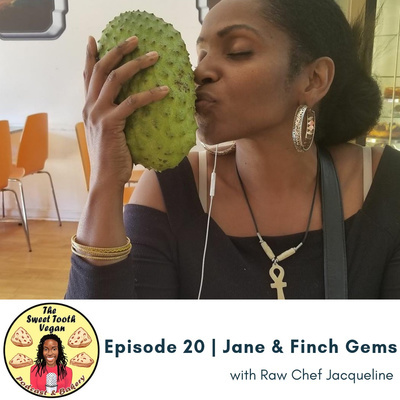 In part 5 of the Black Vegan series Shaleena interviews Raw Chef Jacqueline of Toronto, Ontario. 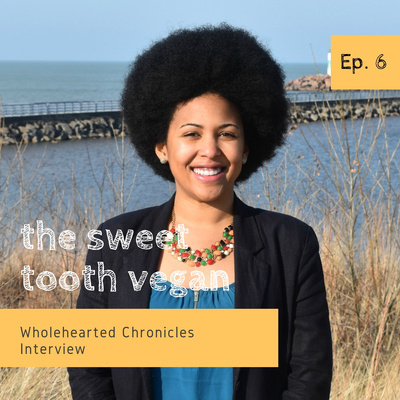 She talks about her journey of becoming a certified vegan chef and her passion of teaching the youth in her community about optimizing their health. 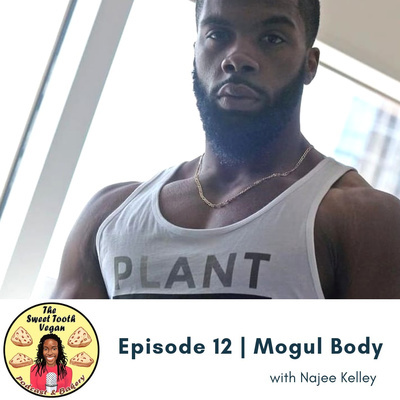 Topics of discussion include: the relation between health and diet, healing detoxes, the origins of the term vegan, the power of melanin, and more! 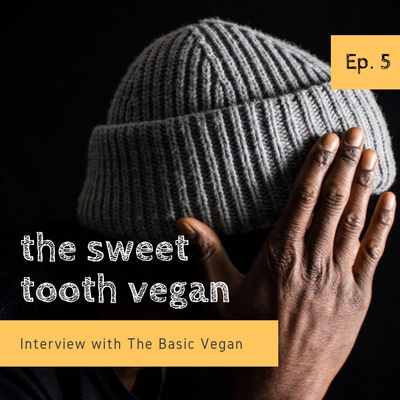 In part four of the Black Vegan series Shaleena interviews published author Devyn Bryant of Atlanta, Georgia. 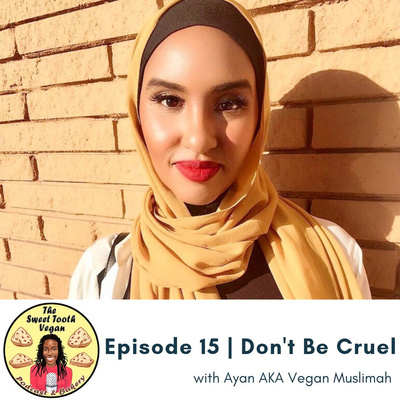 Devyn shares the story of how a popular documentary influenced her and her family to go vegan "cold turkey". 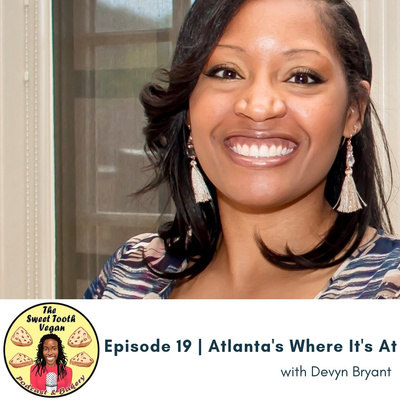 Discussion topics include: tips for transitioning children on a vegan diet, meal planning and budget tips, the Black vegan community in Atlanta, and more! In part 3 of the Black Vegan series Shaleena interviews Jennifer, also known as the YouTuber Just JenJen. Jennifer discusses her desire to one day open up accessible and affordable grocery stores in her hometown Chicago to eliminate food deserts. 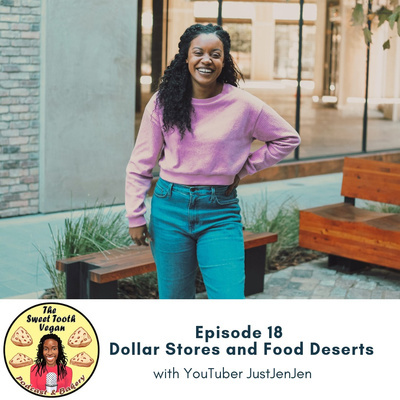 She also shares the story behind why she created her YouTube channel, and her recent discovery that dollar stores in America are outselling Whole Foods by 10 billion dollars! 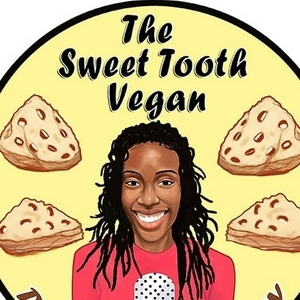 This episode is part two of the Black Vegan series on The Sweet Tooth Vegan podcast. 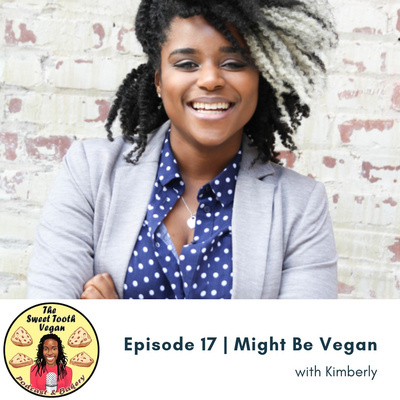 Shaleena interviews Kimberly, the founder of Might Be Vegan - a plant based culinary group based in Atlanta, Georgia. She is also the co-host of the podcast Do Fries Come With That Convo. 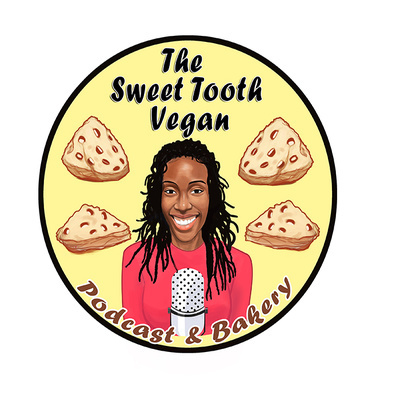 Discussion topics in this episode include: highlights and lowlights of podcasting, the services that Might Be Vegan provides, food deserts in the Bronx, quick vegan meals, and more! 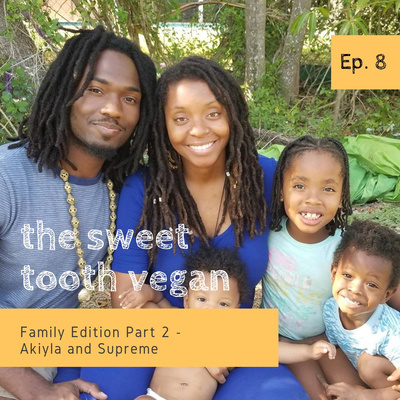 Episode 16 is part one of Shaleena's newest series entitled Black Vegan: Exploring veganism within the Black community. 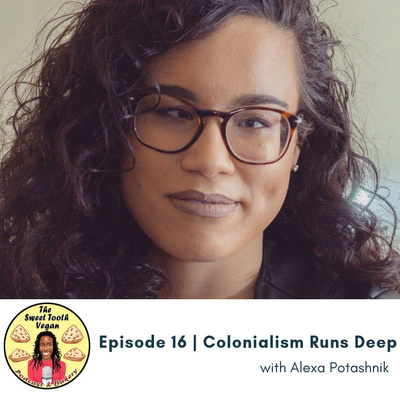 Her first guest on this series is Alexa Potashnik of Winnipeg, Manitoba. 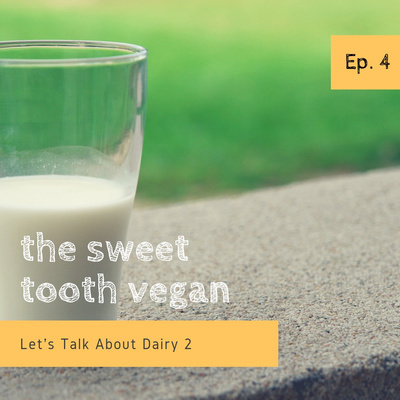 Discussion topics include: the links between slavery and most Caribbean diets, sources of protein on a vegan diet, challenges with giving up certain foods, is veganism a "White people thing," Dr. Milton Mills, the dairy industry, and more! 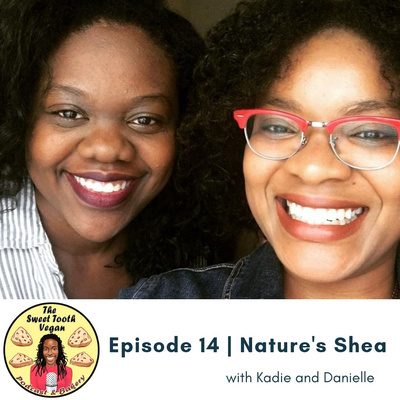 In the final part of the Mind Yo Business series Shaleena interviews Kadie and Danielle of Nature's Shea, a hand crafted hair and skin care company. They are both committed to providing their customers with nourishing products that use 10 natural ingredients or less! Nature's Shea places great emphasis on the decolonization of the shea butter industry through the practice of fair trade. 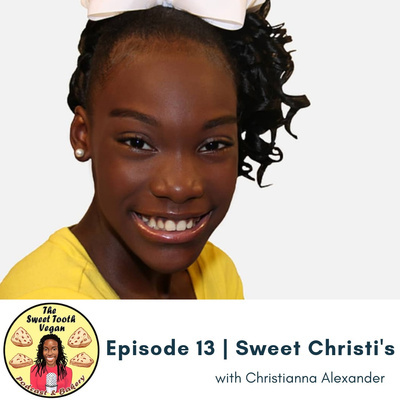 In Part 3 of the Mind Yo Business series Shaleena interviews her youngest guest, Christianna of Jacksonville, Florida, the creator of the natural soap company Sweet Christi's! 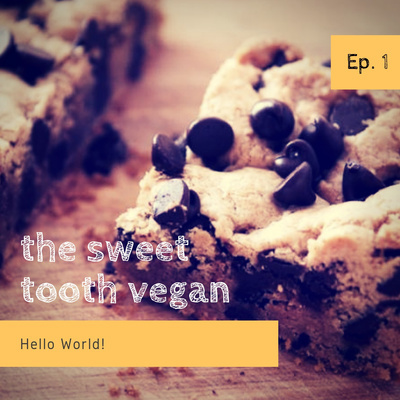 In this episode Shaleena shares her highlights and lowlights since starting The Sweet Tooth Vegan Podcast back in April. 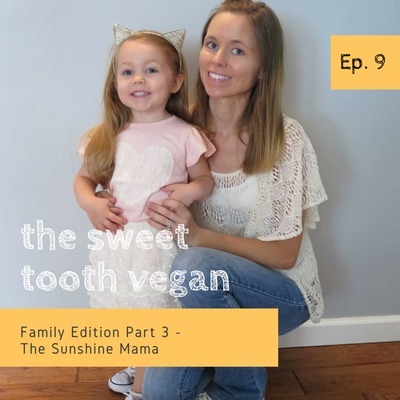 In the final part of the Vegan Community - Family Edition Series Shaleena interviews Jasmine, a YouTuber known as The Sunshine Mama. She shares what it's like to raise a toddler on a vegan diet and the history behind her YouTube channel. Topics include: what vegans eat, children books on veganism, documentaries, eco-friendly living, vegan celebrities, and more! Episode 3 - Let's talk about dairy! Episode 2 - GASP! You're a vegan? 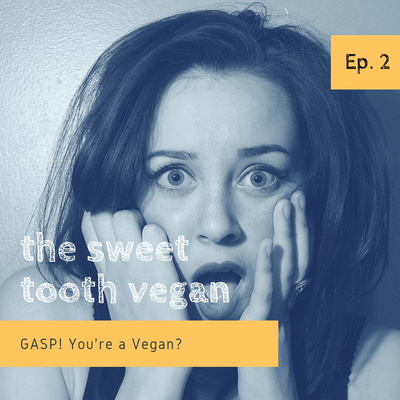 In this episode Shaleena talks about the common reactions and questions she gets from people when they find out that she is a vegan. The link to the video she uses in this segment "Meet Dr. Milton Mills" is posted on her blog www.sweettoothshae.com. The transcript of this episode is also posted on her blog.